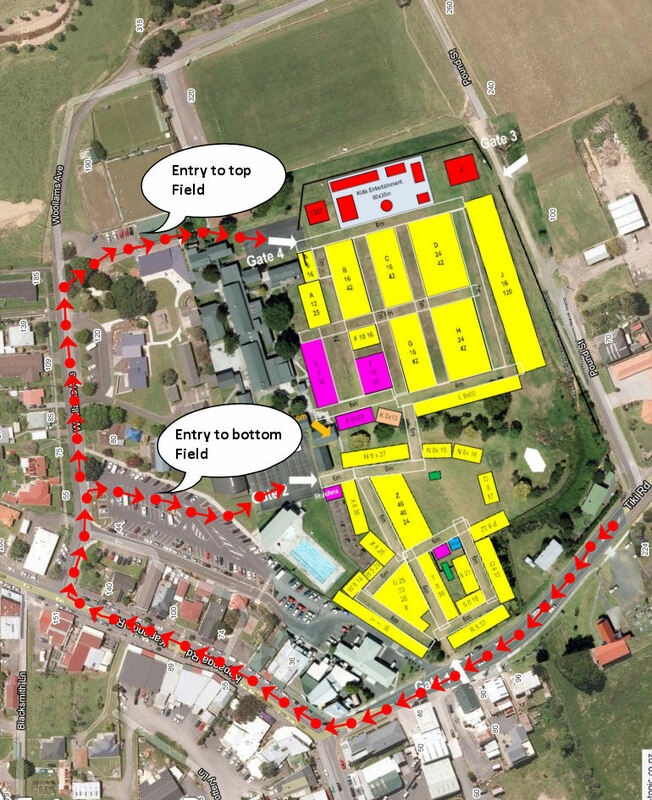 Please have a look at the access ways to the field! This year the top field stall holders must enter via Woolams Avenue from the top end of the field only! That is all stalls from blocks A to L. NEW!!! Bottom field stall holders now enter via the big parking lot between the school hall and the pool complex. That is all stalls from blocks M to Z. The gate on Tiki Road is closed for vehicle access. Public access only. You may set up from 4pm until 9pm on the 1st of Jan and from 5am to 8:30am on the 2nd of Jan. The fair will be closed to vehicles after 8:30am.